The Red Bandanna Award Goes to…Conscious Kids! 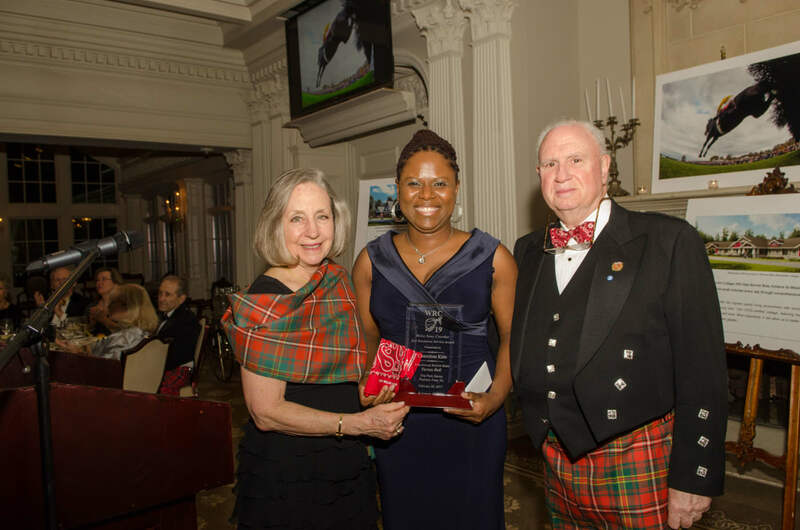 Bonnie Brae and the Welles Remy Crowther Charitable Trust were proud to present this year’s Red Bandanna Award, at the 31st Annual Tartan Ball, to Conscious Kids, Inc. This prestigious award was established in 2008 by the Crowther family in honor of their son, Welles Remy Crowther, a volunteer firefighter and equities trader who, on September 11, 2001, lost his life saving, it is estimated, between 5 and 12 others. The award was created in the spirit of Bonnie Brae’s mission to create an environment where young men reclaim their potential through education and therapy and had been previously presented at the Bonnie Brae Polo Classic, to an individual or group who has shown initiative and dedication in support of children in need. Founded by Marlee-Jo Jacobson, the Conscious Kids mission is: “To support at-risk children and young adults, with a primary goal of providing educational support and a secondary goal of providing general support and life enhancements.” The foundation was started as a small private fund run by the foundress in 2008. It grew after her death and in 2013 started making extensive grants to nonprofits intent on furthering the foundress's vision. Marlee Jo Jacobson believed that the experiences of orphans and "at risk" children could provide unique value to organizations and society as a whole. Her embodiment of service to the community at large, gratitude and grace in the face of success as well as adversity, and optimism and hope through all of life's challenges continues to inspire. Today, Conscious Kids, Inc. is led by President, Joshua Carrick, and Board members, Keisha Richardson, Lisa Harris and Betty Rapoport. Keisha Richardson, who accepted the Red Bandanna Award, is also a dedicated advocate for at-risk young people. In addition to serving the needs of children through Conscious Kids, Inc., she also brings heart and passion to her work as a Bonnie Brae Trustee. Upon receiving the Red Bandanna Award, Keisha Richardson stated “I want to thank all of you here tonight for helping provide a place like Bonnie Brae, and I want to invite all of you to get involved in our dream to do more.” Conscious Kids has already made an incredible impact at Bonnie Brae, specifically by generously providing the lead investment for our historic summer camp experience. Their commitment to this trip has been so impactful, that Bonnie Brae has named the trip in their honor, Conscious Kids Summer Expedition. For 33 years, the summer excursion has been at the heart of Bonnie Brae’s recreational therapeutic programming, and has been called by our former CEO, ‘the best thing we do at Bonnie Brae. The Welles Remy Crowther Charitable Trust was established in September, 2001 by the Crowther family to honor and keep their beloved son’s memory alive. The mission of the Trust is to assist young people to become exemplary adults through education, health, recreation and character development. The Trust provides scholarships and supports other not-for-profit organizations that benefit young people through annual gifts and special awards.